Starting tonight, crack open a little bit of Maryland at the East Village's Back Forty, as the neighborhood hangout's crab boils return for a weekly stint throughout the summer. 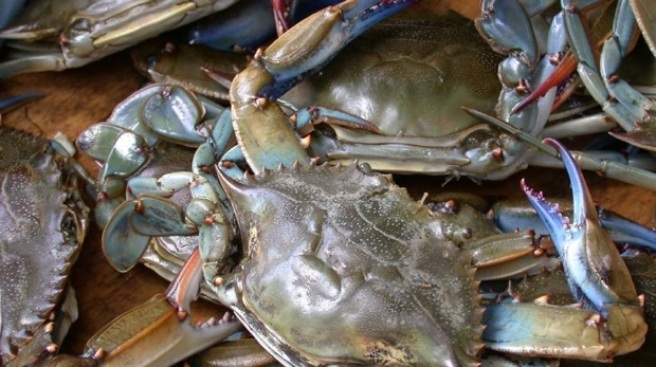 Blue crabs are back on the menu at Back Forty each Tuesday through Labor Day. Starting tonight, the low-key East Village haunt Back Forty (best known for sophisticatedly hearty meat-and-potatoes fare we'd call "Upstate NY rustic") brings back its excellent weekly Chesapeake-tribute crab boil event. $40 gets you all the critters you can whack, plus piles of corn on the cob and other sides, and - and! - cobbler. Plus, their back garden (not quite 40, unless we're talking yards) may be one of the most charming in the neighborhood. Consider our sleeves rolled to the elbow.